Nowadays, outdoor living can really be an extension of your home, if you put in the investment and take the time to create your own space, not only will you and your family enjoy additional space and your property’s value will increase but your home will be happier too. 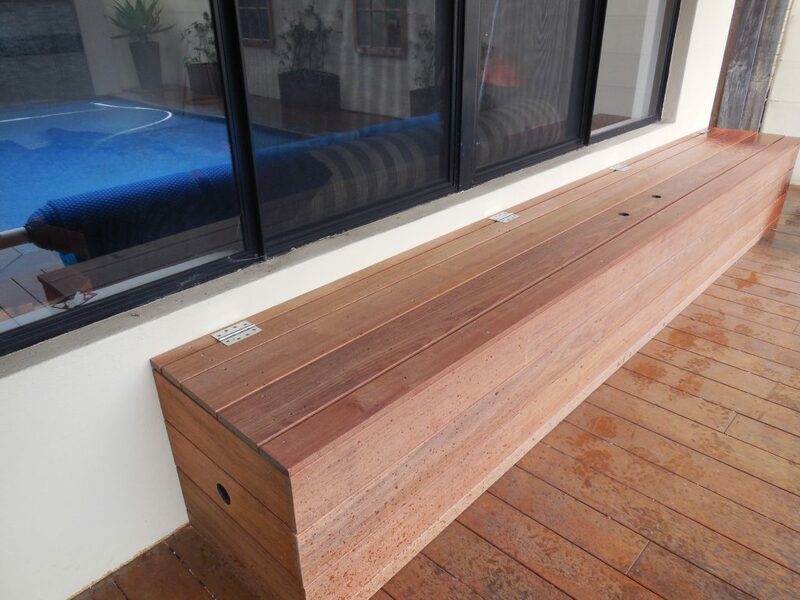 Bench seating is a perfect way to create built in seating and is also a great way to store outdoor items like swimming pool equipment, the kids soccer balls and frisbees and dusty gardening equipment. With bright coloured cushions, drink coasters or even platters of delicious food your bench seats will be practical and a gorgeous feature to your outdoor living area. A patio gives you year round coverage from the sun and the rain. With Perth’s mild climate you can enjoy a lovely dinner under your patio with your friends and family on a cool clear winters evening with a few decorative heating lanterns and scattered scented candles. 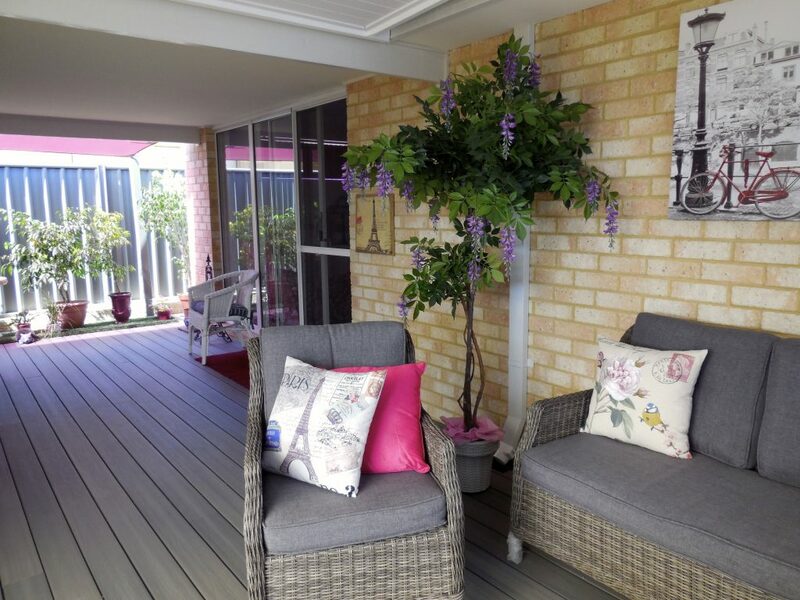 Really personalize your patio with a large table and folding directors chairs, a vintage table cloth and jam jars full of fresh flowers or maybe a TV mounted on the wall so you can watch the footy grand final with your mates. 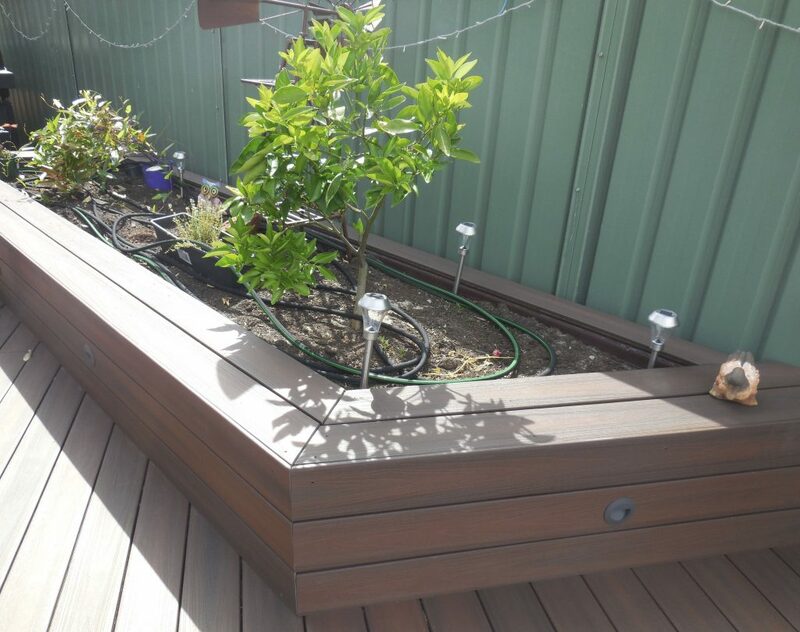 For complete outdoor renovation, you may even consider adding that special touch of luxury with Glosswood or Cedar lining. Whatever you lifestyle, your patio will give you and your home more scope than you thought possible. There’s nothing better than lazing on a cozy lounge on a veranda or patio watching the world go by and the good thing is you don’t have to be in Bali to experience this – you can lounge right under your own patio. Complimented with a neat little coffee table, a green pot plant and perhaps a sturdy mat, your outdoor lounge area will soon become your favorite place. A tiny sized balcony doesn’t have to be a setback –think of it as an opportunity to create a getaway perfectly sized for one. Work from the ground up. Think flooring. 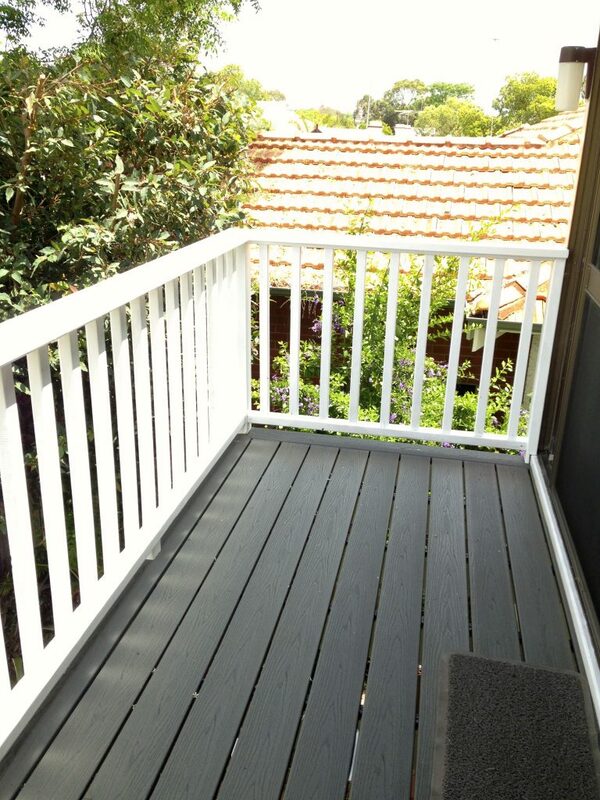 Maintenance free composite decking is a warm edition that is slip resistant. Add to your balcony a curvy lounge chair, a few potted plants and a string of colourful lanterns to transform this small space into a nook you’ll look forward to escaping to. 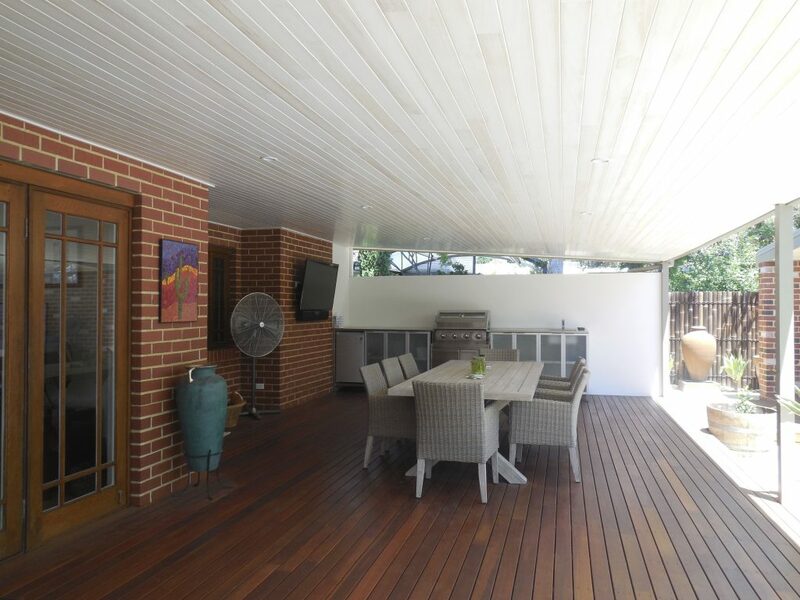 Castlegate Home Improvements can help you with all your outdoor renovation requirements. Give us a call today to find out how we can get you started on your additional living room today. NB: Castlegate completed all the projects seen above.